WASHINGTON — A cyberattack initially believed to be targeting only hospitals in the UK has now gone beyond, involving potentially dozens of countries. A report from a security firm indicates more than 45,000 malicious computer attacks in 74 countries in the past 10 hours. CNN has not independently confirmed that number. The problem appeared to begin Friday morning when hospitals in the UK were crippled by a large-scale cyberattack, which forced operations to be canceled and ambulances to be diverted. Health workers reported being locked out of their systems and seeing messages demanding ransom payments to regain access. NHS England described the incident as a “ransomware” attack. At least 16 organizations connected to the National Health Service in England and an unknown number in Scotland reported being affected. “The investigation is at an early stage but we believe the malware variant is Wanna Decryptor,” officials at NHS Digital said in a statement. Scottish Health Secretary Shona Robison said officials were convening an emergency meeting to deal with the problem. In Spain, the government said Friday a similar attack had affected a large number of companies. The firms included telecom giant Telefonica and the power company Iberdrola, Reuters reported. Woodward warned there are two problems. He said most likely it occurred this time because some of the hospitals and other organizations affected may not have applied a patch that Microsoft released or they are using outdated operating systems no longer supported by the software giant. Awais Rashid, a professor of software engineering at Lancaster University, said “the key question” to consider is how an attack such as Friday’s could originate “from a noncritical system such as email” and then spread to other systems. “Our society increasingly relies on interconnected systems to deliver key services such as health,” he said. This entry was posted in Trucking News on May 15, 2017 by ReedTMS. The California Avocado Commission, Irvine, Calif., estimates 123 million pounds of hass avocados will be consumed as part of Memorial Day weekend activities. This is larger than the volume consumed on Cinco de Mayo, according to the commission, which was 119.4 million pounds. The avocado commission released its sixth annual program to support avocado sales through the summer — United Plates of America. The CAC created a retail recipe booklet with 18 recipes and tips to pair California avocados with summer foods. The booklet is available to retailers who merchandise California avocados. Advertising support for the program will also come from in-store radio and Pandora radio spots, online and social media advertising, public relations outreaches. The commission plans to e-mail consumers with Memorial Day and Fourth of July content that encourages California avocado use. This year’s crop of California avocados is expected to reach 200 million pounds. This entry was posted in Produce News on May 12, 2017 by ReedTMS. Uber’s currently ensnared in a legal battle with Google’s parent company Alphabet over its self-driving car designs, but the ride-hailing behemoth doesn’t seem to be slowing down just yet. 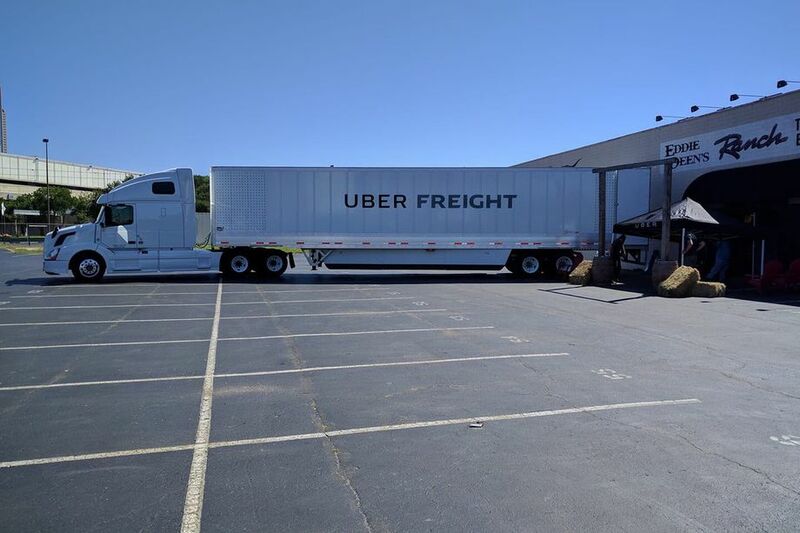 The company’s CEO, Travis Kalanick, posted a photo over the weekend of a large semi that appears to be the first look at its long-hauling truck effort, Uber Freight. At the time, Business Insider reports, an Uber exec said its intention with Uber Freight was to build a marketplace “that would allow self-driving trucks to flourish. As The Verge notes, Kalanick’s tweet suggests Uber Freight’s plans now appears to include ambitions to own a fleet of semis—which, of course, would be a costly venture. Still, the project has had some successful public demonstrations; last October, an Otto truck completed a 120-mile beer delivery run. But it’s not clear how many tests have been conducted since. In February, Car & Driver revealed Otto was operating without a permit in California, a familiar point of contention for Uber. Despite the ostensibly positive news for Uber, the company could face a setback this week: the judge overseeing Uber’s dispute with Google’s self-driving project is expected to decide this week whether to issue a preliminary injunction that could halt Uber’s autonomous vehicle program until the case is completed. This entry was posted in Automation, Trucking News on May 11, 2017 by ReedTMS. Cargo business at Florida’s Tampa International Airport is growing, thanks in large part to online retailer Amazon.com Inc. Seattle-based Amazon has opened two enormous distribution centers in the greater Tampa Bay area. To supply those warehouses with merchandise, Amazon is shipping goods to Tampa International Airport daily aboard a Boeing 767 cargo freighter plane. It’s a lucrative arrangement for Tampa’s airport, which has seen a spike of more than 20% in cargo activity over 2016 cargo activity. The Amazon deal alone has generated more than $275,500 in revenue for the airport through fees and building rental payments, which continues to go up. The daily flight is part of a national deal that Amazon quietly inked with Air Transport Services Group in 2015 to lease five Boeing 767 cargo planes and use them to move merchandise across the country. Tampa was one of the first regions to be a part of Amazon’s air cargo delivery network. Amazon and ATSG renewed the contract last year and extended the lease to 20 cargo planes. Business is going well enough that LGSTX Services Inc., a firm under the same parent company as Air Transport Services, wants to lease additional warehouse space from the Tampa airport. Hillsborough County Aviation Authority board members approved a proposal May 4 for LGSTX Services to take over the lease of a 7,680-square-foot cargo building from United Airlines to use for storage and the creation of pallets for packing and shipping. The lease, which extends to September 2018 and includes renewal options, will generate more than $91,000 in rent and fees annually. Additionally, board members agreed to change the language of the airport’s air service incentive program to accommodate more domestic cargo freight business. The incentive program has been used mostly to lure new commercial airliners and flights to Tampa Bay, such as the direct flight to Frankfurt, Germany, on Lufthansa and to Panama City, Panama on Copa Airlines. The airport waives fees and has written checks for marketing reimbursements through the program. For cargo flights, the incentive program only allowed international carriers to participate. That changed May 4 when board members voted to revise the language to include incentives for all cargo air services. “When we created the policy in 2011, we thought the only growth in cargo business we’d see would be from international carriers,” said Chris Minner, vice president of marketing at the airport. “But that’s not the case, so we’d like the program to be open to any freighter.” Other cargo companies such as Atlas Air Inc., FedEx Corp. and the U.S. Postal Service are among the other cargo businesses at the airport. FedEx Corp. ranks No. 2 on the Transport Topics Top 100 list of the largest U.S. and Canadian for-hire carriers. Story By Justine Griffin © Transport Topics, American Trucking Associations Inc. This entry was posted in Tampa Lifestyle on May 9, 2017 by ReedTMS. Truck drivers are vital to the flow of the supply chain yet this key resource is being drained at an alarming rate. 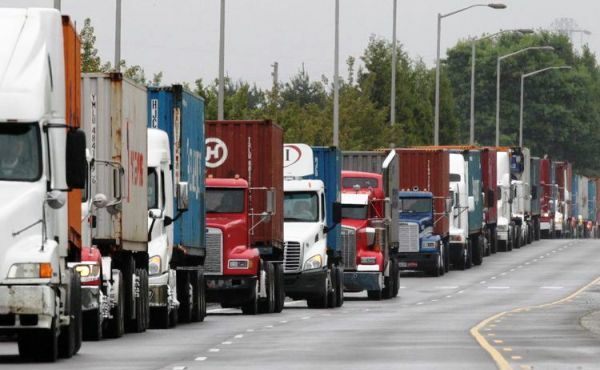 The average life expectancy for long-haul truck drivers is 61 years. As the current truck driver workforce ages and with fewer young people choosing a career as a truck driver, it leaves the industry with a major problem. How can these key individuals be replaced? Companies are scrambling to try initiatives such as sign-on and referral bonuses in order to lessen the impending shortage, but there is a better way. Driving a truck for a living is a difficult job and those who choose it for a career find themselves enduring long stints away from family. They also end up not eating a balanced diet and many get little exercise while spending most of their day behind the wheel. This entry was posted in Trucking News on May 8, 2017 by ReedTMS.